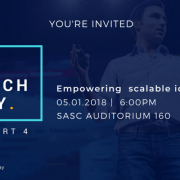 If you are yearning to explore your inner entrepreneur, StartUP FIU’s Pitch Night on May 1st is the place to be inspired! The intrepid entrepreneurs from Cohort 4 of the Empower Accelerator are preparing their investor pitches for Pitch Night. Going through the intensive 14-week Accelerator program has pushed them to the limit in refining their business models through rigorous and continuous testing of their assumptions about what it will take to be successful. On May 1st, you can see the fruits of their labor, as they each have 5 minutes to tell their stories to inspire potential investors to want to take a risk on them. Safe Emissions Systems: Designs and builds a life-saving muffler for portable generators that eliminates 99.1% of the toxic carbon monoxide fumes. CivicPro: Provides an online customizable database to track public meetings and legislation across cities. MDocLive: Developing a platform that provides direct communication between health care providers and a patient or family member, including critical patient care instructions. Ecological Atlas: Offers visually beautiful and flexible data-driven graphic mapping tools to enable landscape designers, gardeners, and environmentalists understand the bloom times, colors, and seasonality of their local environment. Visional Forensics: Manufactures easy-to-use onsite crime scene detection of dangerous substances. Developed by career forensic lab experts. Kangowrite: Provides digital learning tools to help students write research assignments in less time with less stress. Mandatum: Enables consumers to name their own price for products they buy online. Metastatic AI: Diagnoses the presence or absence of breast cancer with 99% accuracy by using deep machine learning. NestNotes: Provides a website and app for families to make it easier to record and print keepsakes. Owletpass: Enables parents to find and register, online, their kids in a wide-range of activities on a one-time or continuous basis. SunVessel: Provides network of solar charging stations that enable people to easily rent, return, and charge personal mobility devices for fast and fun urban transportation. SmartsAid: Enables refugees, homeless, and other people in need to easily access aid services using a mobile app. To see these teams pitch and get inspired, please join us for Pitch Night on the evening of May 1stat 6:30 pm on the main campus of Florida International University, SASC Auditorium, room 160. You can register here. Miami, FL April 9, 2018 – Fast Company, a leading innovation and entrepreneurship publication, announced today that Studio Roberto Rovira, a Miami company founded by an FIU faculty member and creator of the EcoAtlas, is a finalist in this year’s World Changing Ideas 2018 award. As a finalist in the Photography and Visualization award category, Rovira’s EcoAtlas joins a prestigious group that in 2017 included winners IDEO, the world-renowned design firm, and the Nature Conservancy. The EcoAtlas is a comprehensive open source design and visualization platform that communicates vast amounts of information about the natural world through simple and engaging data maps. StartUP FIU is a university-wide initiative at Florida International University (FIU) to foster and develop innovation and entrepreneurship that pursues opportunities of The Fourth Industrial Revolution. These opportunities include the development of breakthrough technologies, the pursuit of enterprises that close social or environmental gaps and the creation of companies that can create meaningful jobs of the future. StartUP FIU is focused on developing traditional and social entrepreneurship among students, faculty and staff, alumni and the South Florida community, leveraging the university’s strengths to stimulate commercial investment and job growth in the process. For more information on StartUP FIU, visit startup.fiu.edu. EcoAtlas communicates the seasonal changes of the natural world and serves as a comprehensive design and visualization tool. It bridges art, science, design, and technology, and connects the power of data and technology to help designers, planners, and anyone interested in better understanding and transforming the environment. By using intuitive, graphic mappings that can convey changes in bloom times, deciduous tree patterns, produce seasonality, animal migrations, and other time-dependent phenomena, the Ecological Atlas facilitates a comprehensive understanding of the environment. For information, contact Roberto Rovira (rovirar@fiu.edu) Associate Professor, Department of Landscape Architecture and Environmental and Urban Design (LAEUD), College of Architecture and the Arts, Florida International University. Game time! New company leverages virtual reality technology to improve the physical therapy experience. https://startup.fiu.edu/wp-content/uploads/2019/01/StartUp-FIU-hrz-Color-rev-ctr_-300x65.png 0 0 startupadmin https://startup.fiu.edu/wp-content/uploads/2019/01/StartUp-FIU-hrz-Color-rev-ctr_-300x65.png startupadmin2017-06-16 11:29:302017-06-20 09:51:14Game time! New company leverages virtual reality technology to improve the physical therapy experience. There’s talent west of I-95. Come and get it. https://startup.fiu.edu/wp-content/uploads/2019/01/StartUp-FIU-hrz-Color-rev-ctr_-300x65.png 0 0 startupadmin https://startup.fiu.edu/wp-content/uploads/2019/01/StartUp-FIU-hrz-Color-rev-ctr_-300x65.png startupadmin2017-04-05 09:34:092017-04-05 09:34:23There’s talent west of I-95. Come and get it. Yes! Entrepreneur finds StartUP FIU is just what his company needed. Dettbarn had been having mild success with Addigy, a company he founded in 2014, offering cloud-based IT management platform specifically for managing apple Mac Computers. While more than 80 vendors provide this service for PCs, few companies offer the service on the Mac side, a segment of the marketplace that Dettbarn predicts will grow tremendously as more Mac-devoted millennials enter the workforce. 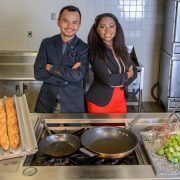 Dettbarn, who holds bachelor’s (2001) and master’s (2002) degrees from FIU, turned to his alma mater’s new venture: StartUP FIU, a collaborative, entrepreneurship hub to help FIU students, faculty, alumni and early-stage startup entrepreneurs from the Miami community create and grow their businesses. 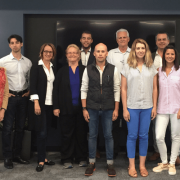 He became a member of Cohort 1 of The Empower Accelerator program, StartUP FIU’s comprehensive, 14-week program to develop scalable traditional and social entrepreneurship ventures. Under the direction of Director Kate Sackman, the program provides coaches, skills training, advisors, access to speakers, and cutting-edge work space. Cohort 1 concluded in December 2016, and a second cohort began their session in February of this year. https://startup.fiu.edu/wp-content/uploads/2019/01/StartUp-FIU-hrz-Color-rev-ctr_-300x65.png 0 0 startupadmin https://startup.fiu.edu/wp-content/uploads/2019/01/StartUp-FIU-hrz-Color-rev-ctr_-300x65.png startupadmin2017-03-17 11:21:302017-03-17 11:21:30Yes! Entrepreneur finds StartUP FIU is just what his company needed.